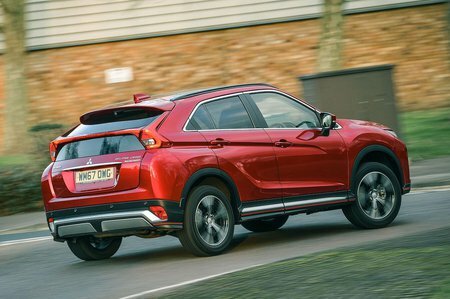 Mitsubishi Eclipse Cross Performance, Engine, Ride, Handling | What Car? 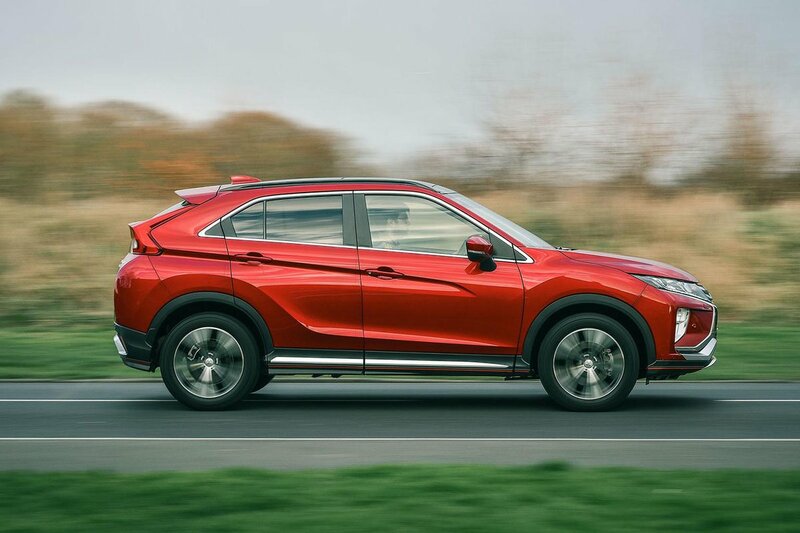 There’s a 2.2-litre diesel on the horizon for the Eclipse Cross but, for now, it’s only offered with a 1.5-litre, turbocharged four-cylinder petrol engine. It produces 161bhp and you can choose it with with two-wheel drive and a six-speed manual or CVT automatic gearbox, or with four-wheel drive and the CVT auto ’box. The six-speed manual gearbox lets you make the best use of the engine’s free-revving nature; it pulls strongly from 1,800rpm all the way to its 6,500rpm redline. However, the gearchange is notchy and an unforgiving clutch biting point makes it difficult to drive smoothly at slow speeds in town – it’s all too easy to misjudge things and end up stalling or wheel-spinning. Where fitted, the CVT automatic gearbox rather dulls the engine’s performance. Floor the accelerator and engine revs soar while the engine drones in rather a wearisome manner. There is a manual mode that enables you to select one of eight ‘gears’, but the shifts are slow and heavily slurred. Where the Eclipse Cross does impress, however, is at a cruise. The engine is quiet at speed and sends little to no vibration through the car’s controls, even when the stop-start system activates. Overtaking acceleration is smooth, too, with none of the jerkiness that you’ll find from some dual-clutch automatics. On the 18-inch wheels that come as standard on ‘3’ and ‘4’ trim levels, ride comfort at low speeds is poor. Expansion joints, ruts and other sharp-edged obstacles cause noticeable suspension noise and the occasional jolt that breaks the calm. We suspect that the smaller 16in wheels of the entry-level model might make progress smoother, though, and things do improve at higher motorway speeds. 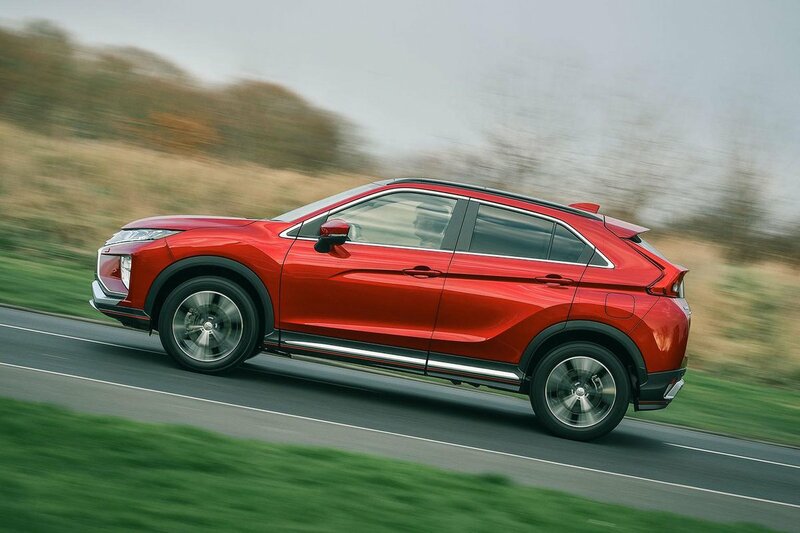 On twisty roads, the Eclipse Cross leans more than some rivals and feels heavier when changing direction, exhibiting none of the tidy body control you’ll experience in the Skoda Karoq. If you’re looking for an entertaining family SUV, the Seat Ateca remains the one to beat.